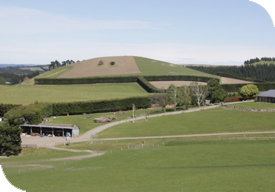 One very special property is going under the hammer at the New Zealand Agricultural Show this week. Lake Raupo is a stunning property, very well farmed and in tremendous heart. It is situated on Glenmark Drive, which has always had tremendous appeal to a lot of people. Approximately 21km north of Amberley and 66km to Christchurch International Airport. Comprising of 169.5701 hectares (419.01 acres) more or less, and is held in one freehold title. Please register your interest with Rural & Lifestyle Sales Consultant Bruce Hoban on 027 58 8889 or via email on bhoban@pggwrightson.co.nz. 2.00pm, Thursday 15 November 2018.